A friend of mine, one of the women from a group I joined when I was pregnant with my daughter, welcomed a little boy into her family at the beginning of July. He was actually born at the end of June, but they had to wait three days until the birth parents could sign over their rights. I wanted to make something. I had already started a little hat when another person from our group thought it would be nice if we all showered them with gifts. I ended up ripping out the hat I was making because it wasn’t turning out the way I expected(which I would have known if I paid attention to the pattern). So, I started a different little hat. It only took a couple days to finish(probably a total of 5 hours all together). It did turn out really cute. I even did some duplicate stitch to make an E for his name. I also made a couple bibs to send with the hat. 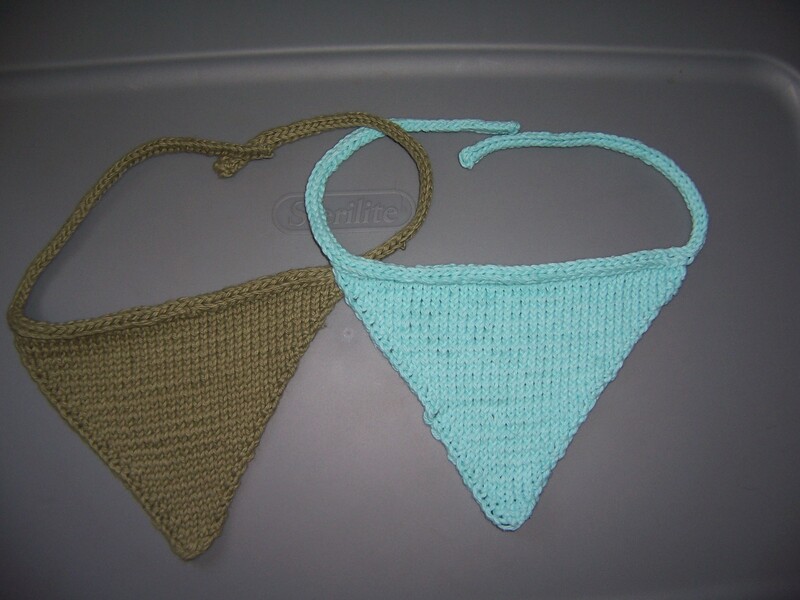 I found a pattern for a bandana bib, and made two of them in different colors. I also used two different brands of yarn, Lily Sugar n’ Cream and Loops & Thread’s Cotton Club(which is also what I used for the hat). 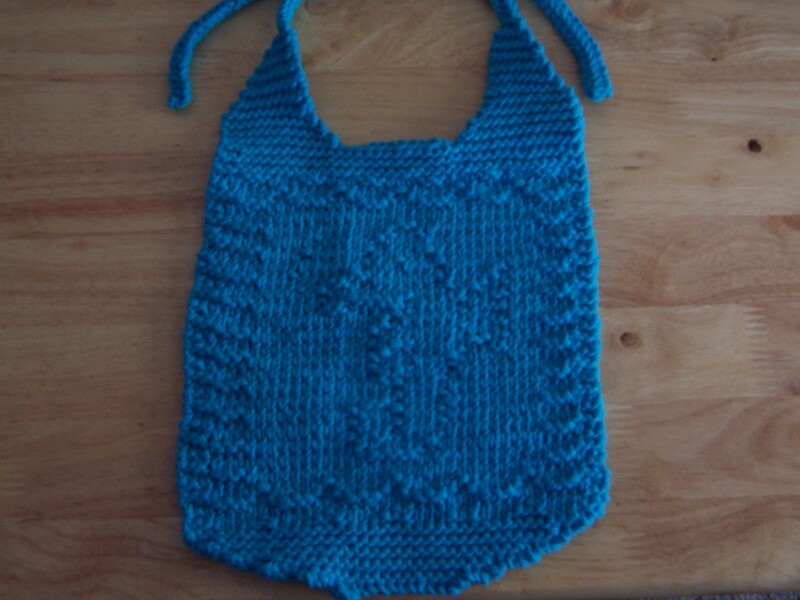 The Cotton Club one turned out a lot softer than the Sugar n’ Cream bib did. But, they did both turn out really cute(once I steam blocked them and got rid of the curl at the bottom). Bandana bibs. The green is the Cotton Club. The light blue is Sugar n’ Cream. 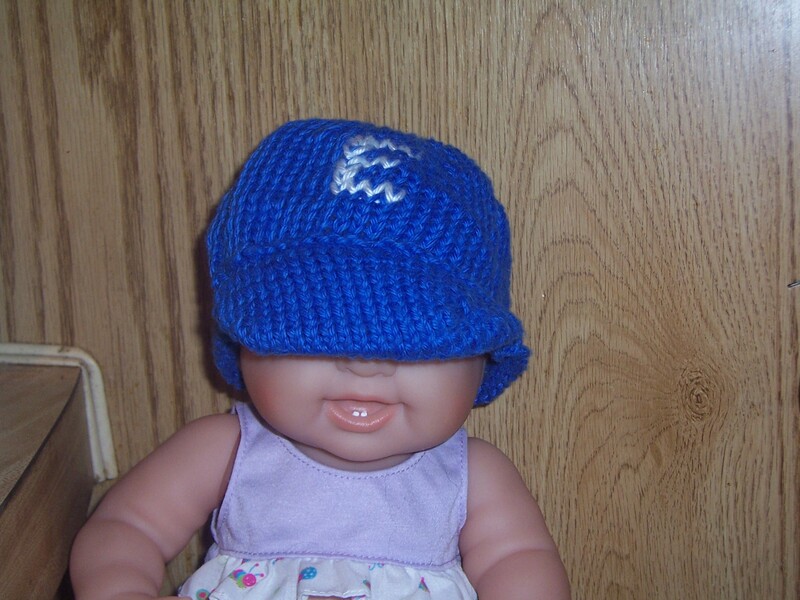 I am not able to sell bibs like these, but I am able to make the hats and sell them. Available in any size and color(as long as I can get my hands on the yarn). This and anything else can be ordered either through my Facebook page of if you email me directly at brownsnovelknits@gmail.com. Right now, I am working on 3 different projects. One is for a gift, so I will not be sharing any pictures until it has been given to the recipients. But, I’m also working on another of my “cause hats”. I’m planning on making as many of these as I can before my friends walk and hopefully selling some of them to help her raise money. After that, I’ll be focusing on selling some to donate the money to the Leukemia & Lymphoma Society. The other project I’m working on is a Thomas the Tank Engine hat. Debated on how to do this, but I think I’ve figured it out. Don’t have a picture of it yet, but I’m only about half done. Hopefully will be finished by next week and have a picture of the completed project. Then, my daughter wants me to make her a Minnie hat. So, it looks like that will be my next project. I haven’t really talked about this on here, but at the beginning of the year I decided to start trying to sell my knitting. I had been thinking about it for a bit and was looking into what all I needed to do to start. So, at the beginning of the year, I bit the bullet and sent everything into the state. I got my sales tax license a week later. I set up my shop on Etsy and started a page on Facebook. Yesterday, Brown’s Novel Knits went live. I published my Facebook page on Wednesday and had 24 likes before I officially opened for business. And yesterday, I got 26 views on my Etsy shop, but no sales yet. I don’t have a lot of items up yet, just a few hats & bibs. Working on some more things and hoping I can get more of a variety. I’m not expecting to make a lot of money from this, but hopefully enough to supplement our income. Plus, it will give me somewhere to send my projects instead of having them sitting around the house(and my kids can only wear so many hats). Hoping I make my first sale soon. But, I’m going to try to remain patient(not an easy task for me) and keep the knitting needles moving until I do(well, and after). 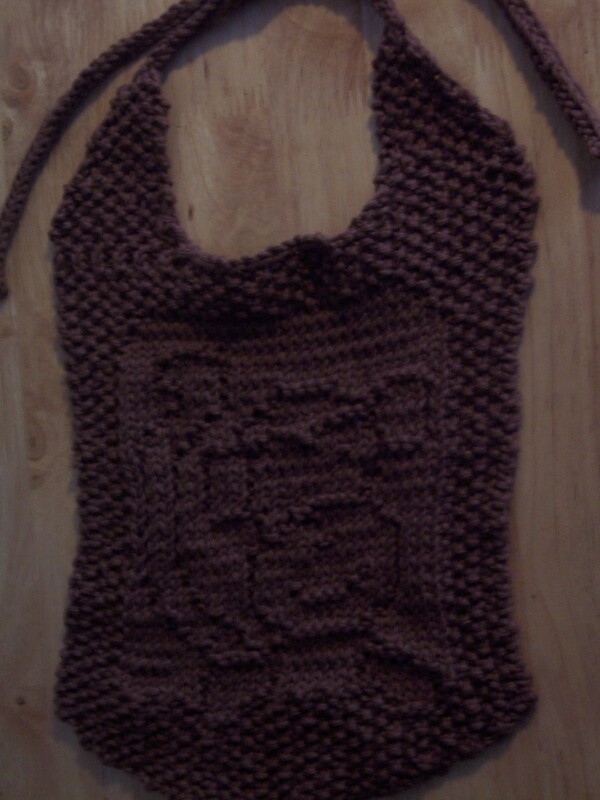 Last year, shortly after picking up this knitting thing, I found a pattern for a bib with semi trucks on it. I thought this was perfect as my husband is a truck driver. I was able to knit it up in less than a week, and I thought it turned out pretty nice, definitely considering I’d only been knitting for about a month at that point. I found the designer’s blog and found her other designs. In the last couple of months, I’ve made three more of her bibs. 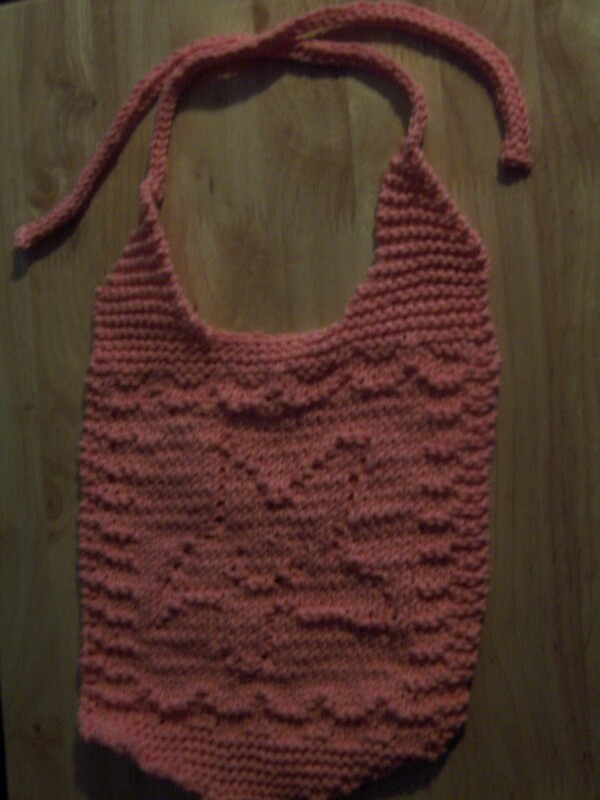 I love how quick these bibs knit up(take me between 10-12 hours to finish one, so between 3-5 days depending on how much time I have each day to knit) and how they turn out. I made all of these with 100% cotton yarn, Lily Sugar n Cream, except for the monkey one which was Loops & Threads Cotton Club. There’s a little bit more yarn in a skein than the Lily ones have, although there’s not much of a difference in price.